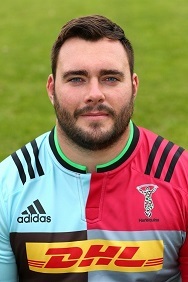 James Rosa Associates are delighted to confirm that we have renewed our sponsorship of the Harlequins’ tighthead prop for a second season. During an impressive 2013/14 season, Collier was named in the England Saxons squad, but missed out on the fixtures against Ireland and Scotland due to injury. The 23 year-old was however named in England’s squad to play the Barbarians at Twickenham in 2014 and was on standby for England’s three Test tour to New Zealand. In previous articles, we’ve looked at limited companies and directors liabilities as well as personal guarantees. In this piece, I’d like to look at one of the most common pitfalls directors face – overdrawn director’s loan accounts. For the uninitiated, the director’s loan account is an internal company account which records monies lent by the director to the limited company (such as the initial start-up investment). In addition, any net dividends due to the director end up being credited to this account before being drawn down by the director. This account should (in theory) always be in credit. Historically, directors of small owner-managed businesses have often been given the advice that they should pay themselves the minimum through PAYE and take the rest by way of dividends (withdrawals from the directors loan account) as it has historically been viewed as more tax efficient*. This is all well and good if the company is making sufficient profit to support these dividend payments – if it isn’t, then these payments can be deemed as “illegal dividends” and are due back to the company which will push the director’s loan account into an overdrawn position. A corporation tax charge called S455 which is calculated at 25% of whatever balance was outstanding on the director’s loan account. Can be considered a “benefit in kind” as it is to all intents and purposes an interest free loan by the company to the director, meaning a personal tax implication for the director in question. For a company that is in the process of liquidation, the consequences for the director could be more severe. As the director effectively owes this money back to the company, they become a debtor to the company. In these instances, the insolvency practitioner (who when appointed as liquidator acts as an officer of the court and their primary duty of care is to the company and its creditors) is required to chase all existing debtors for payment, and this can include the very director(s) that made the appointment in the first place. For this reason, once appointed as a company liquidator, the insolvency practitioner cannot give best advice to the directors in respect of their personal financial situation as it can be deemed a conflict of interest. If you are concerned about this issue, please seek advice from your accountant in the first instance who should be able to advise you if your director’s loan account is overdrawn. We would also recommend you discuss the matter with an insolvency practitioner/specialist if you are considering a liquidation. *James Rosa Associates Ltd are not licensed/qualified to give advice on tax – please seek the advice of a qualified tax specialist.